Biblical Scenes. 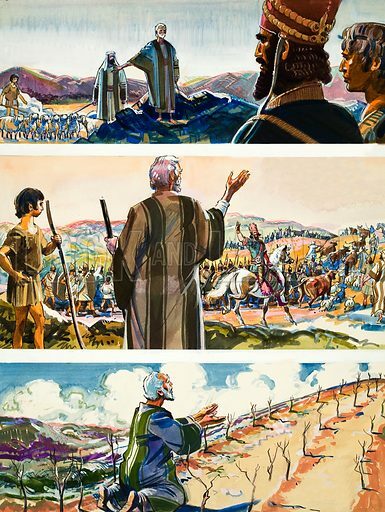 Original artwork for illustration in Look and Learn or The Bible Story (issue yet to be identified). Lent for scanning by The Gallery of Illustration. Available worldwide for immediate download up to 3,466 x 4,616 pixels.